When you’re talking about adding a compressor to your shop, that’s not just a bunch of hot air. A good air compressor is an essential piece of equipment for any automotive repair or collision repair shop. The real question comes down to which one because there’s no one-size fits all solution. As you research and discuss your options, think about the work you do, how you’ll use the compressor and what specifications you need. The right compressor improves your efficiency and helps your business achieve the results you need for your business to succeed. You will want to make sure the air compressor you choose has enough pressure to support the devices in your shop. Identify the equipment in your shop that will use a compressor and make sure your options have the right air volume and can pressurize air to highest psi need. Where do you plan to keep your compressor? Make sure that your anticipated location has adequate ventilation or your room can overheat and cause your compressor to shut down. You also want to ensure it has 36 inches of clearance to allow the equipment to breathe and staff to perform maintenance on the machine. Specific models may have other limitations to keep in mind so check a product’s specification information. Should I buy a rotary vane or rotary screw compressor? Depends on your shops air demands. A rotary vane compressor is likely to be a better investment based on its cost-effectiveness and lifespan if your shop needs a lot of air supply. A reciprocating style is good for a shop with lower air supply demands. Using compressed air has many benefits over other power sources. Safety is one of the biggest as a result of lower electrical shock risk. Compressed air tools are typically easy to use, more mobile, versatile and efficient. They generally cost less than comparable electric or hydraulic options. They also require less maintenance and downtime than hydraulic tools. 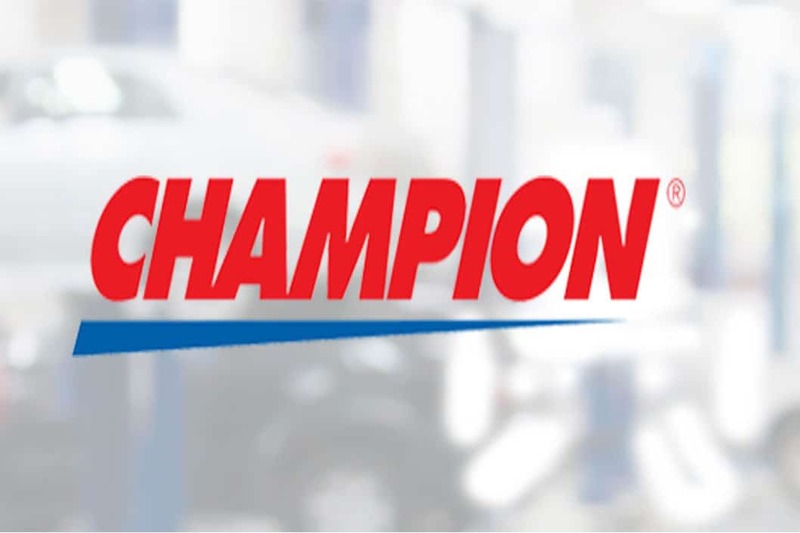 Chesapeake Automotive Equipment proudly distributes the Champion line of air compressors. Our team can help you determine which model best fits the needs of your collision shop, heavy-duty repair facility or auto dealership group in Delaware, Maryland, northern Virginia, the West Virginia Panhandle or Washington, D.C.
Browse our website, chesautoequip.com, and contact our sales team at 800.604.9653 to find the right solution for your business.